Why do some people succeed while others fail? | Sarder TV – Learning Ideas. You are at:Home»Business»Why do some people succeed while others fail? 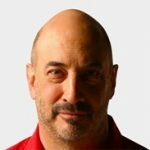 Jeffrey Gitomer explains his theory that there are three types of individuals. According to Gitomer, there are those that make things happen, those who watch things happen and those that don’t know what is happening. Previous VideoWho can be helped by the information provided in Truthful Living? Next Video How important a role did Napoleon Hill feel that confidence played in achieving success?